Copyright (c) – Jouissance Ltd.
Catalogue number VS1006 is on the rear sleeve, VS 1006 is on the labels. ℗ 1988 Virgin Records Ltd. Recorded at Atlantic Studios N.Y., Minot Studios, White Plains, N.Y., Britannia Row Studios, London. Sleeve produced at DKB, London. Representation: [...], 39 Great Windmill St., London W1V 7PA. 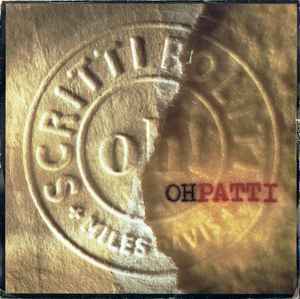 Scritti crush crew: PO Box 107, London N6 5RU (send sae). ℗ & © 1988 Virgin Records Ltd.
Chrysalis Music/ Warner Bros. Music Ltd. This version pressed by CBS, Aston Clinton from plates prepared by EMI Records. This version pressed by EMI Records. This version has silver injection labels.